- $5 giant, 16 ounce cocktails! 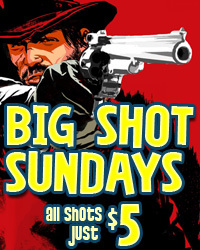 We call it 5-4-3-2 Sunday - you can call it the best Sunday drink deal in Jersey City! Beer and wine to go, free wifi, and Jason and DK slinging drinks all night. Pint is open 3:30PM-2AM every Sunday.